Eugene Rosenthall, DPM, FACFAS, the lead physician at the Center for Foot and Ankle Care in Denver, Colorado was born and raised in the Mile High City. He is a podiatrist and highly trained foot and ankle surgery specialist. After receiving his bachelor’s degree in exercise physiology from the University of Arizona, Dr. Rosenthall earned his doctorate in podiatric medicine from the New York College of Podiatric Medicine in New York City. He then completed his surgical podiatric residency at the Peninsula Hospital Center in Far Rockaway, New York, and returned to Denver in 2004. Dr. Rosenthall practices podiatric medicine and surgery on the Rose Medical Center campus. Governor Bill Ritter appointed Dr. Rosenthall to the Colorado Podiatry Board in 2008. In 2010, he became the Chief of Podiatry at Rose Medical Center. Dr. Rosenthall sits on the Board of Directors of the Rose Medical Group and is a member of the executive medical committee at the Rose Surgery Center. He is board certified by the American Board of Foot and Ankle Surgery and teaches podiatric medicine and surgery in the Northern Colorado Residency Program. Dr. Rosenthall lives with his wife and two daughters in the Denver Tech Center. In his free time, he enjoys being with his family, playing tennis, skiing, and other outdoor activities. We accept the following insurances. Please call the office if you have further inquiries. "Dr. Rosenthall and his staff are wonderful. Dr. Rosenthall was very professional, friendly, and punctual. My appointments were a pleasant experience with great results." 'Fixed my big toe nail in no time at all. Made the whole situation more fun than I expected it to be. Will use this doctor again in the future for my feet." "Dr. Rosenthall is wonderful. He's caring, tells it like it is, and is a great surgeon. I will go back to him." "Not only did Dr. Rosenthall take care of my problem toe but he did it that day. 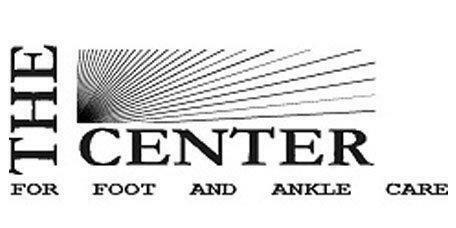 I highly recommend Dr. Rosenthall to anyone seeking a Podiatrist in the Denver area." "He explains all the treatment options thoroughly and gives you ample time to ask questions. The procedure was essentially painless. And he's a really nice guy." "I took my 9-year-old son as a patient and it was a great patient/parent experience. Dr. R has a great bedside manner and is very knowledgable and efficient."